Why is Batman the best superhero? * Is it because he’s a billionaire and can afford all the rocket cars and sonic batarangs that he wants? Is it because he’s a master of every martial art, academic discipline, and over a dozen languages? Or is it because at his core he’s a mortal man like you and me but is so incredibly rad that he could take out the entire Justice League with just a few well-placed roundhouse kicks, some household chemicals, and a book of matches? It’s because of all those things and also because we said so. There are two ways to become Batman. The first is to undertake a grueling physical and mental training regimen, abstaining from all worldly comforts while you steel yourself to face every trial imaginable. This means training to bench press press up to 1,000 pounds, hold your breath for over three minutes, and become resistant to most toxins and mind-control techniques. The other way to become Batman is to buy this costume. 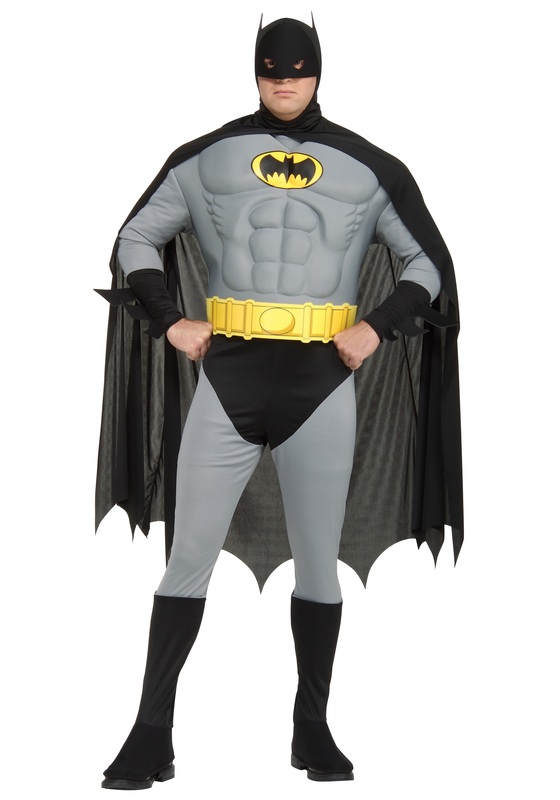 This Batman Costume is inspired by Bruce Timm’s popular style of the Caped Crusader, with gray and black colors and the iconic yellow utility belt. Batman’s beefy chest and abdominal muscles are part of the costume, so you won’t have to take 58 gallons of pure anabolic steroids between now and whenever Halloween is in order to complete the effect. *Before you send us your angry emails about why Batman isn’t the best superhero, please remember that your opinion is only correct when it’s the same as ours.